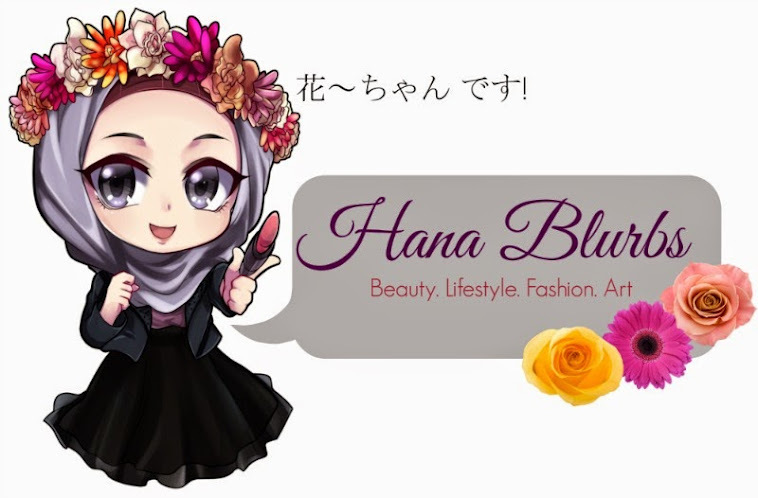 Hana Blurbs: Althea Turns 1! x Something Special! Althea Turns 1! x Something Special! 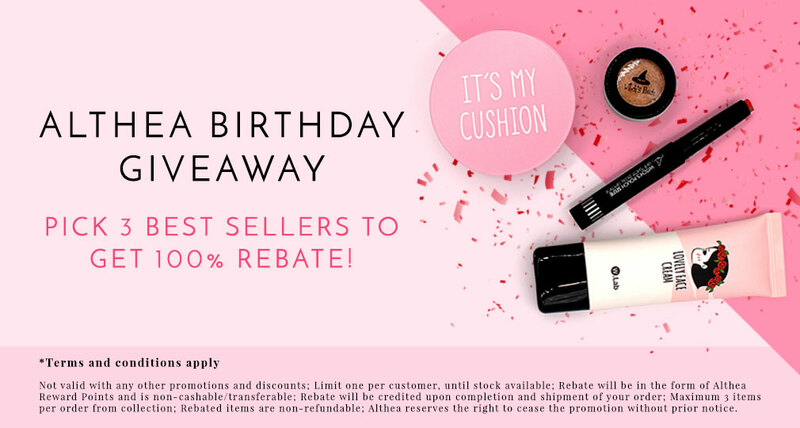 Althea Korea is celebrating their first anniversary, so.... HAPPY BIRTHDAY ALTHEA!! How time flies. It has been a year since their launch. I've been eyeing the website a lot as they offer lowest prices, and the fact that the product authenticity is 100% plus they ship directly from Korea! Althea's Birthday Celebration 20th - 31st July!! 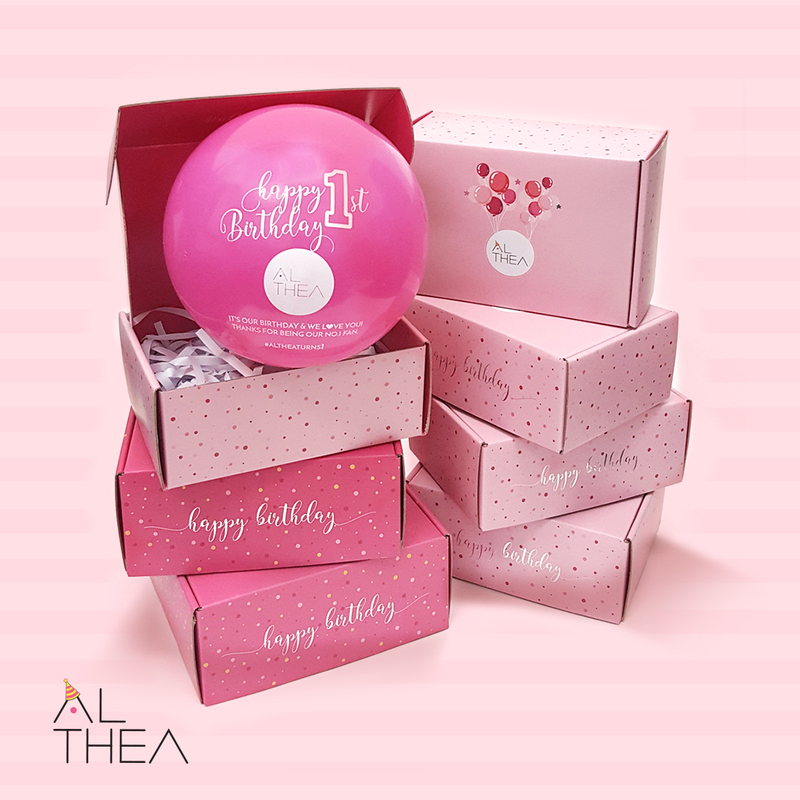 Shop at http://althea.kr for between 20-31 July 2016 to get the Limited Edition Birthday Box + DIY Party Kit. Check out what I've gotten for myself! Ahem, while stocks lasts. 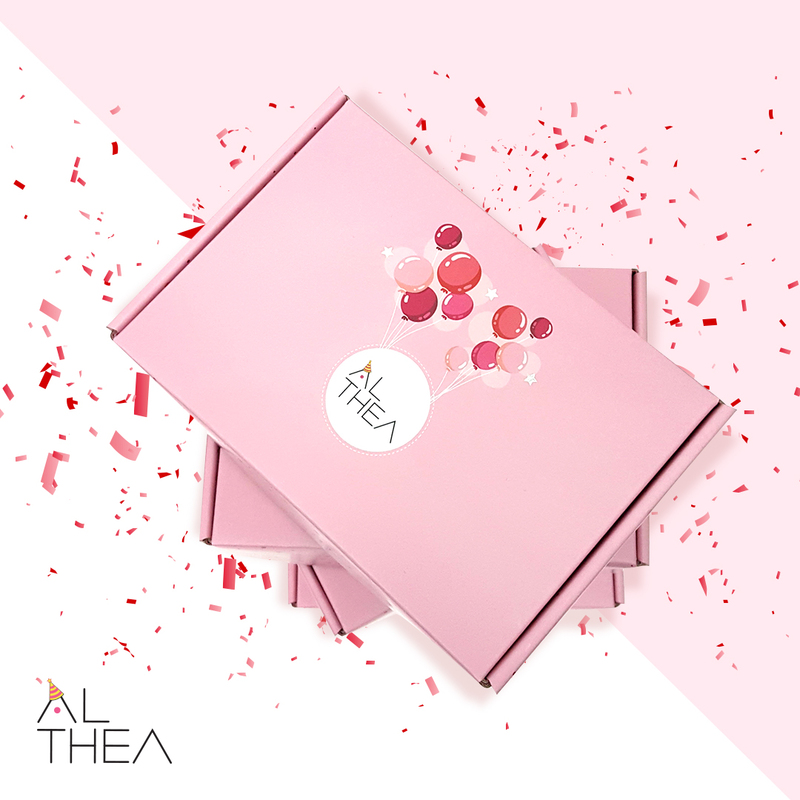 Got your Althea party kit? 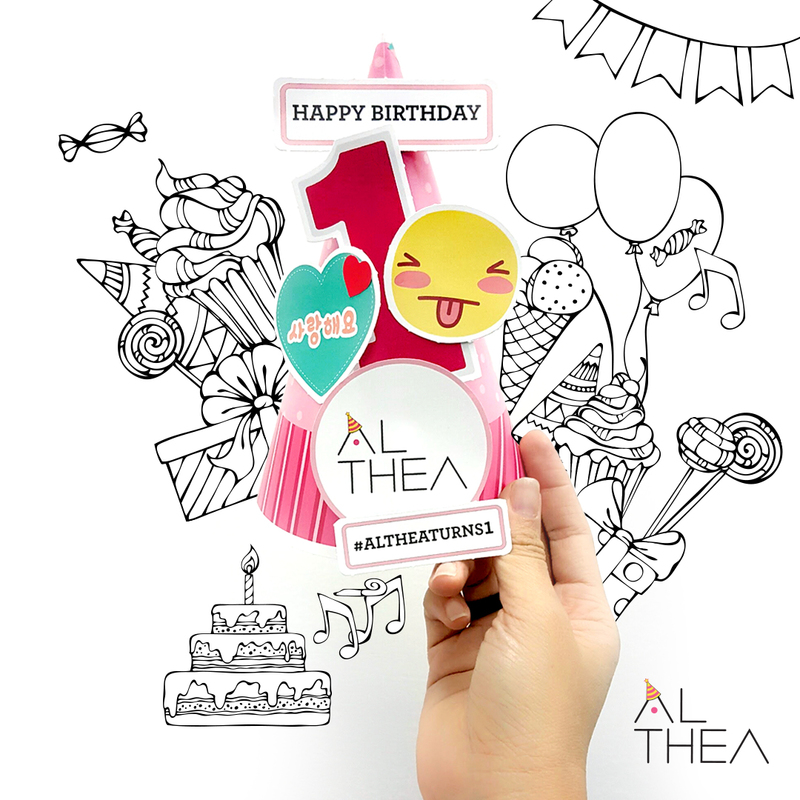 Wish Althea happy birthday with #altheaturns1 and stand a chance to win amazing prizes such as Macbook Air, Ipad Air 2, iPhone 6S, Galaxy S6 Edge, Canon EOS M10 Selfie Camera, Althea credits and beauty hampers from Althea! 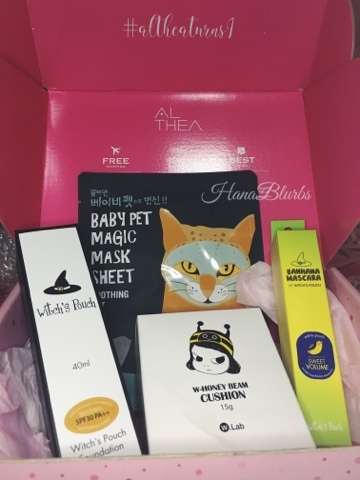 Baby Pet Magic Mask #Cat - A cat who had troubles with blemishes used a magic sheet that has Aloe Vera extract, green pure complex, and calendula extract which soothe the skin and become a baby cat free from breakouts. Witch's Pouch Foundation #23 - This is a liquid foundation that enables polished makeup look that adheres to the skin softly for a long time, brightening the dark and dull skin tone with natural coverage over blemishes. 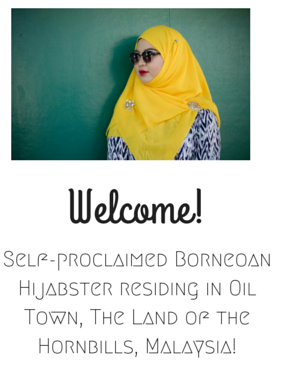 Will review them one by one hopefully!